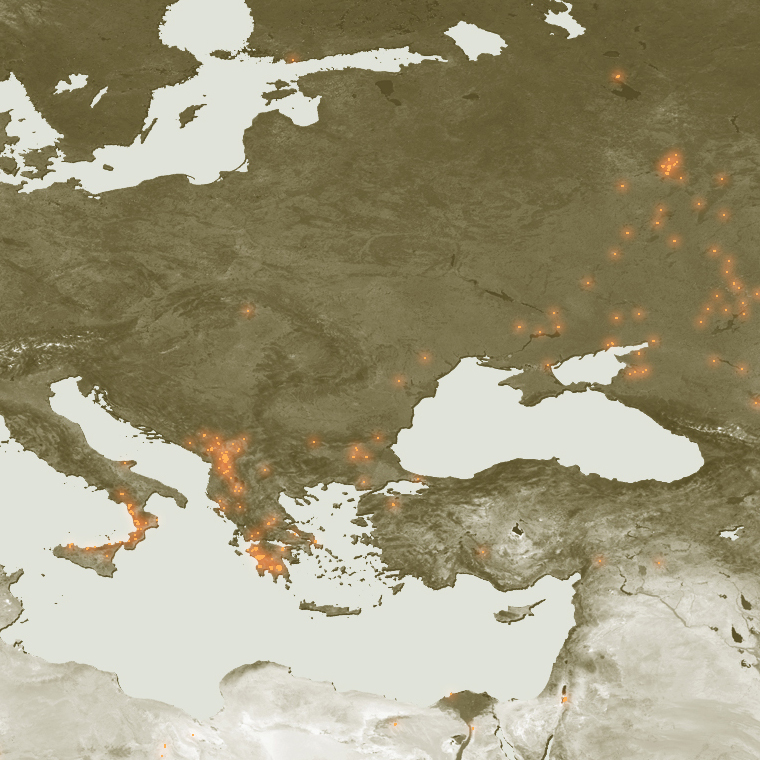 Hot spots across Southeastern Europe from 21 to 26 August have been detected with instruments aboard ESA satellites, which have been continuously surveying fires burning across the. Working like thermometers in the sky, the Along Track Scanning Radiometer (ATSR) on ESA’s ERS-2 satellite and the Advanced Along Track Scanning Radiometer (AATSR) on ESA’s Envisat satellite measure thermal infrared radiation to take the temperature of Earth's land surfaces. Temperatures exceeding 312ºK (38.85ºC) are classed as burning fires by AATSR, which is capable of detecting fires as small as gas flares from industrial sites because of their high temperature. Worldwide fire maps based on this data are available to users online in near-real time through ESA's ATSR World Fire Atlas (WFA). Smoke from some of the fires included in the WFA fire map was detected during the same period by Envisat’s Medium Resolution Imaging Spectrometer (MERIS) optical instrument. While working in Full Resolution mode to provide a spatial resolution of 300 metres, MERIS captured smoke plumes arising from fires raging across Greece's southern Peloponnese peninsula, where fires have claimed the lives of at least 60 people since they began four days ago.